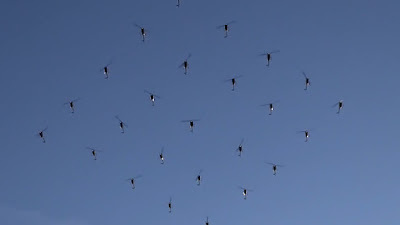 The largest helicopter formation flight consists of 30 helicopters and was achieved in an event organised by Fareed Lafta (Iraq), over Baghdad, Iraq, on 6 January 2016. 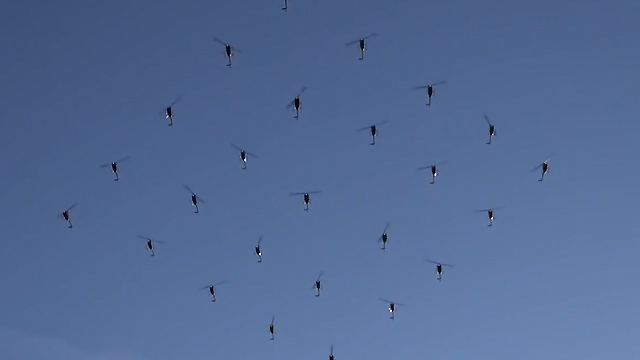 The helicopters flew from Rustamiyah, Baghdad for 30 minutes. The record-breaking team flew inMil Mi-17, Mil Mi-28, Mil Mi-35, Aérospatiale Gazelle, Airbus Eurocopter, Bell OH-58, Bell 407, Kaman SH-2 and Seasprite UH-2 helicopters.